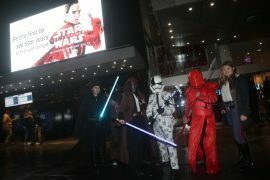 Star Wars: The Last Jedi has shrugged off its critics to become one of the top 10 biggest films of all time in the UK. The Last Jedi helped make 2017 the highest-grossing year on record for the UK box office. 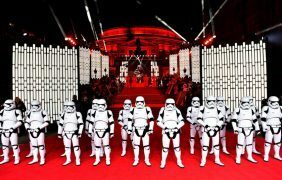 Star Wars: The Last Jedi has narrowly missed out on ending 2017 as the year’s biggest film at the UK box office. The latest instalment in the Star Wars franchise is here.